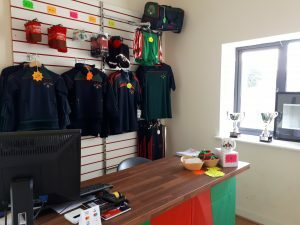 You can now purchase our club gear in our Club shop every Saturday from 9.30am to 12.30pm. You can also buy online or through our kit manager Pat O’ Brien. If you wish to purchase our club gear online click here. 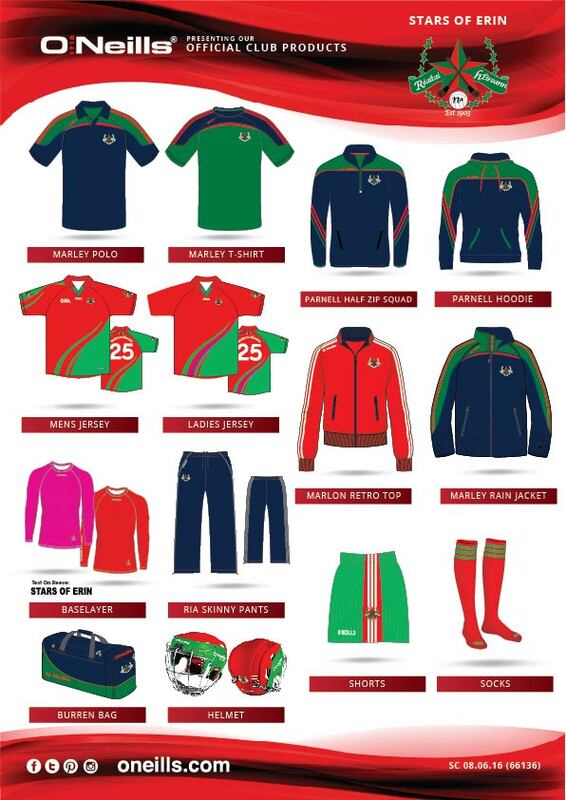 Our current line-up of club kit is available to browse via catalogue below. Club orders are placed on the first Monday of each month, but can be subject to a minimum order quantity by our supplier O’Neills: you will be advised if there a significant delay on your order. To place an order please print and circle the desired kit from price list below. Prices and products are subject to change.